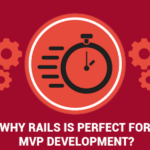 When it comes to sending an SMS using Ruby on Rails, there are two approaches you can take. 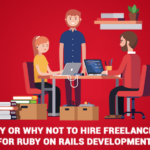 The first – and more complicated – is to use your own hardware and something like the ruby-sms library to communicate with the hardware. This set-up is time consuming, a pain to maintain and probably not very scalable. The second option is to take the much easier route and use an existing SMS gateway service. There are many SMS gateways out there that offer APIs (ranging from HTTP/FTP based to email and COM-based); one such provider is Clickatell sms service, who are one of the bigger providers out there with a range of services. Clickatell is a privately held mobile communications company founded in 2000 and headquartered in Redwood City, CA, with offices in Cape Town and Johannesburg, South Africa and Laos, Nigeria. Clickatell delivers short message service (SMS) messages through its Clickatell Gateway to mobile phone users through more than 800 networks in more than 220 countries and territories, with the potential to reach five billion mobile phone users, or more than 70 percent of the world’s population. <i> For integration of the clickatell API in any rails application,we need to get api-id,username and password from clickatell website.This will be needed to authentication. <i> First we need to sign up on www.clickatell.com and after activating the account check for central api among other available API’s. <ii> After selecting the http api(central api),fill in other details and settings and note down the api id.This id along with username and password will be used to to send sms to networks. 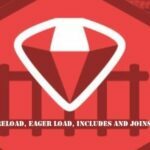 sms –help –>this gives all the options that can be used and also shows that gem is installed properly. Recipients can be a comma-separated list, up to 100 max. -s, –status MESSAGE_ID Displays the status of the specified message. <i> For sending sms from the rails application, go to that application folder from terminal. Message sent successfully (message id: 1619575838a1dfcecce8e530174b4d14). Getting status of message #1619575838a1dfcecce8e530174b4d14. –>Status: (#7) shows the status of the message.Status codes and there respective meaning can be checked out from clickatell’s official http api guide. You have 4.6 credits remaining. note:-Many other options are there and are described in the HTTP API documentation. 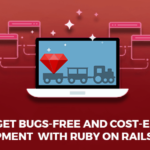 RailsCarma has been implementing Ruby on Rails from its nascent stages for development, training, deploying and contributing back to the Rails Community. 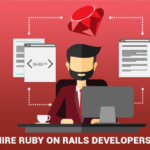 Through trusted technical expertise and consummate customer service combined to deliver a delightful experience for clients, RailsCarma provide end to end Ruby on Rails consulting, architecture, building, management and extension to companies around the globe. Contact Us to know more.